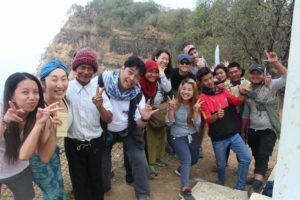 From April 17 to Aproil 27, we organized the 3rd Bamboo Glocal Village (BGV) mission in Myanmar. 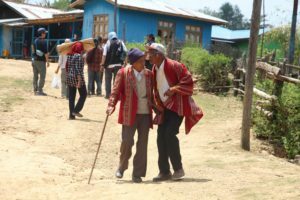 We survived 26 hours bus ride from Yangon to Hakha, Chin State and continued 4 hours by van to reach Hriphi village where our main event happened. The report for this mission is available from the link below. 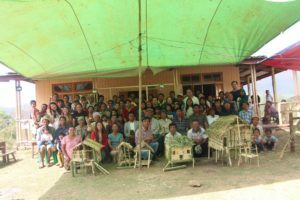 The first part of the Bamboo Glocal Village(GBP) in Hriphi Village consisted mainly of individual introduction from the team,explanation of the workshop, goals and objectives as well as brief special sharing from each country representative about the use of bamboo in the community. 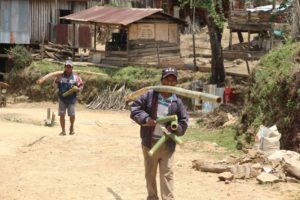 Volunteers from the community people were then asked to share their knowledge regarding the use of bamboo in the community. A representative from the Philippines gave a demonstration on how bamboo can be made into musical instruments and how they are played. Then he also demonstrated how to make simple bamboo chopsticks and how it is used. 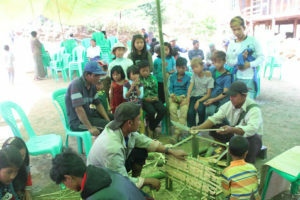 In the end, the participants were invited to experience bamboo cutting and instrument-playing. 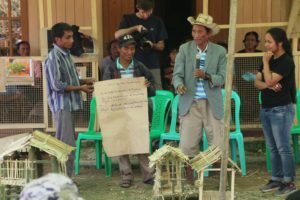 In the second part of the BGV workshop, participants (who came from all ages) were then divided into groups, instructions were given in the local language. All the groups chose their respective working areas and went on to conceptualize and plan their hotel/resort. Japan and Philippine members also came together to form one team with the idea that we can introduce new concepts to them. Everybody was so engrossed in what they were, that everybody willingly sacrificed lunch time so they could all at least almost finish the outputs in time for the presentation. All the “hotels/resorts” turned out nicely. Each group were then given the chance to briefly explain the features of their outputs, including the inspiration behind these models. Of course, our team also had time to explain and introduce possibilities that could potentially improve their communities. Philippine September event! On the ropes. 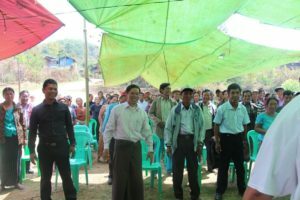 The report of the Myanmar Workshop can be viewed at the link below.